RIL's telecom arm Reliance Jio Infocomm is in discussion with Chinese mobile device makers for bundling their products with its 4G services. "We have signed non-disclosure agreement with it (RJio) and hence cannot share details," a top official of a Chinese mobile devices firm. Another Chinese mobile device company said that they are in advanced stage of discussion and can share details only after its deal is finalised. When contacted, an RJio spokesperson said, "Reliance Jio is actively working with all major handset device manufacturers to ensure and certify their phones for use on Jio network and shall ensure adequate availability of phones in entire price range." 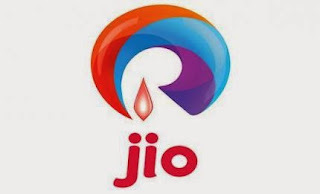 Reliance Jio also has a programme in place to work with all major manufactures to ensure that future releases of phones are pre-certified and are fully compatible with Reliance Jio 4G, the spokesperson added. RJio has announced its plan to launch 4G service across all states, around 5,000 towns and cities, accounting for over 90 per cent of urban India and over 215,000 villages this year. As per the rules, August 31 is deadline for all companies which won BWA spectrum in 2010, including RJio, to roll out the services in at least 90 per cent of the service areas, failing which the Department of Telecom will have the right to withdraw the radiowaves. The company on May 7 raised USD 750 million (nearly Rs 4,500 crore) loan that will be used to finance goods and services from Korean companies Samsung Electronics and Ace Technologies Corp, which are being tapped for its infrastructure roll out. RJio holds pan-India 4G spectrum since 2010. In March auctions, the company added two sets of spectrum - 800 Mhz in 10 circles and additional 1800 Mhz in six circles, to boost its 4G services with stable voice calling facility.